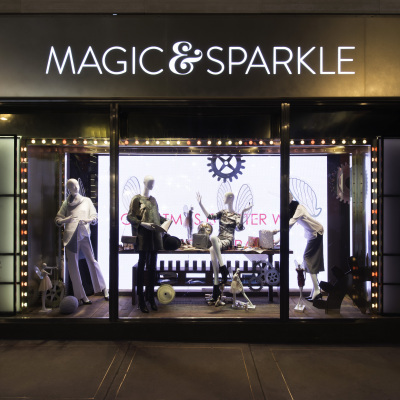 Millington Associates created the Marks and Spencer’s ‘Magic & Sparkle’ Christmas Window Displays inspired by their 2014 Christmas advert. 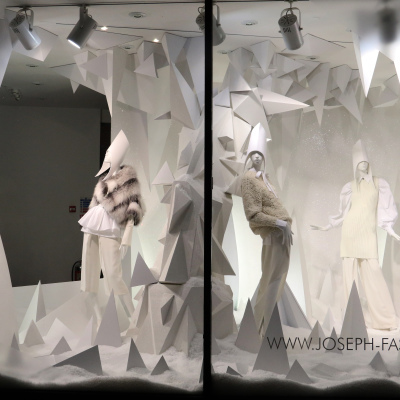 In collaboration with Harlequin Design, JOSEPH FASHION created a beautiful white winter wonderland scheme for their Christmas Window Displays. 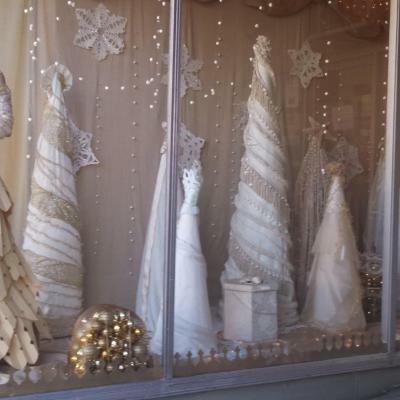 A forest of sparkly Christmas trees in the Holiday window displays and a blizzard of delicate paper snowflakes in downtown Dixon by Bridge of Art. 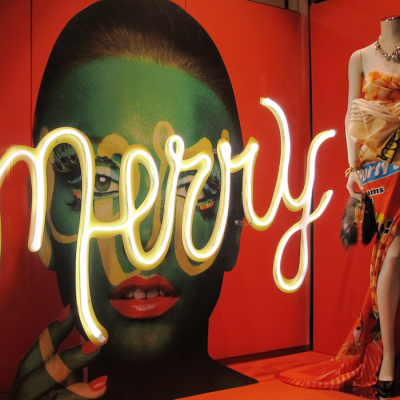 ARTE VETRINA PROJECT created the AIZONE Christmas window displays where they used the same type of led flex neon as the AISHTI Christmas Window Displays for the Xmas writings. 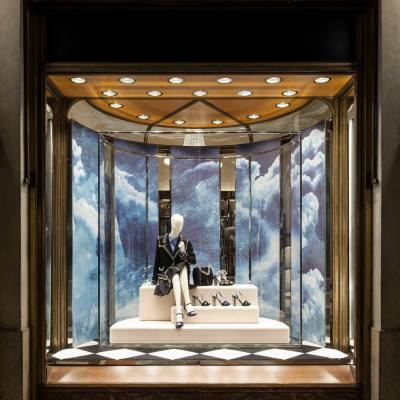 The 2014 Prada Holiday windows present a suspended scene featuring painterly cloudscapes developed by Prada and long-time collaborator 2×4 in New York. 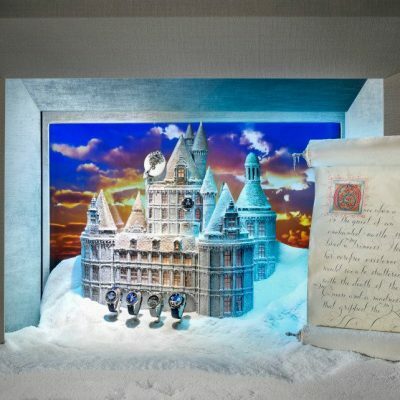 Van Cleef & Arpels ‘Fairy Tale’ Holiday windows are inspired by Peau d’Âne (English: Donkey Skin) a 1970 French musical film directed by Jacques Demy. 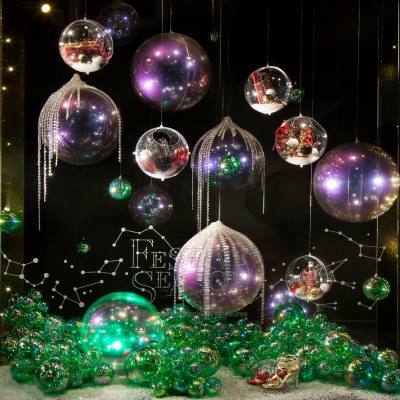 Holt Renfrew holiday windows are inspired by the enchanting twinkle of majestic Northern Lights. 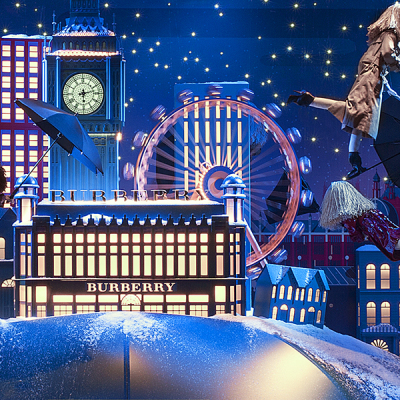 ‘Voyage Magique’ is the theme for Burberry Christmas windows displays at French department store Printemps, where the windows let you relive the journey of a little hero from London to Paris. 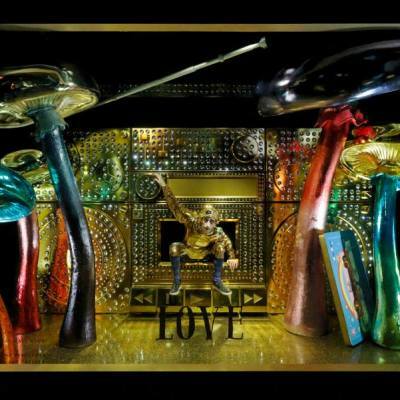 The Dutch department store ‘de Bijenkorf’ created Magical Christmas window displays, with a lot of glitter, metallic colors and lights. 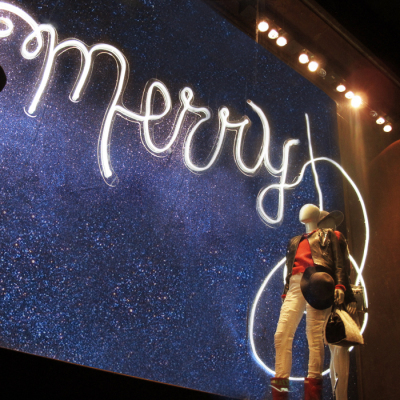 ARTE VETRINA PROJECT created the Aishti Xmas campaign, started off by planning for months and long hours installing the Aishti Christmas window displays. 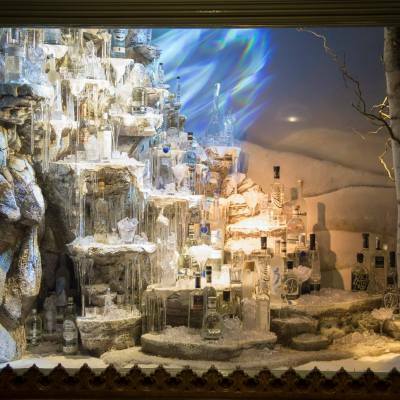 Fortnum & Mason created beautiful, magical and stylish Christmas window displays.